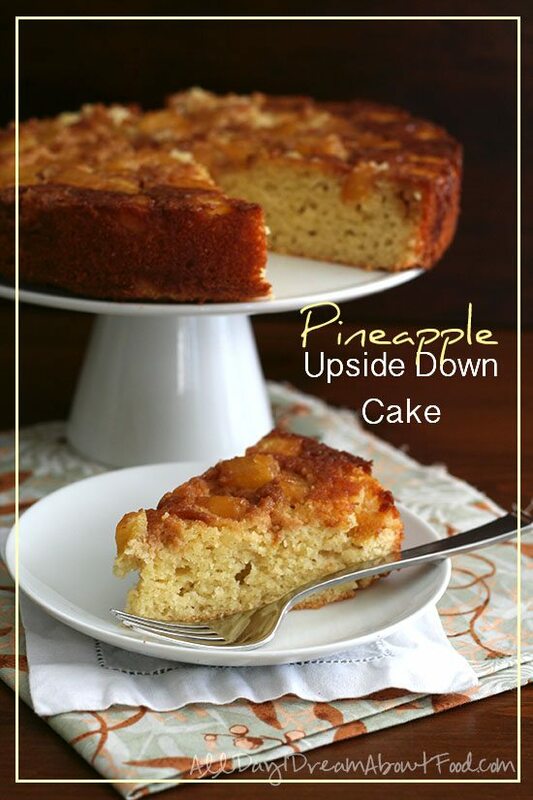 The classic Pineapple Upside Down Cake made over into a low carb, gluten-free treat. Keeping the pineapple to a minimum and using pineapple extract helps you get all the flavor with fewer carbs. I have many of blogger friends who are pet-owners, and their pets seem to be perpetually photo-bombing their food photography. They will post a photo on Facebook or Instagram in which the curious and hungry nose of a dog or a cat will have made its way into the shot, inching toward the delectable food and ruining the picture. And possibly ruining the food, if the blogger isn’t fast enough to catch the creature. Up until a few weeks ago, I thought I was immune to this issue. My cat, a large energetic male named Gryffin, has heretofore steered clear of my food creations and my photography set ups. He is a curious little monkey and pokes his face into many places where it doesn’t belong, but he seemed to observe my photography shenanigans with disdain. However, he decided to get curious about this Low Carb Pineapple Upside Down Cake. I am sure it wasn’t the cake that interested him at all, being the carnivorous animal that he is. But the big wooden board I use as a backdrop seemed to capture his attention. Unbeknownst to me, he climbed right up on the table (a no-no in any circumstance) and proceeded to lean up against it from behind, sending it crashing down into the cake that I had just set up. I hadn’t even taken a single photo. Thankfully, I did manage to catch the board before it fell all the way down, but one side of my cake was smashed to bits. 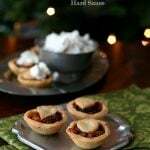 And I had no time to make another, as it photos and recipe were due to my editor the next day. I had to patch it back together and fake it as best I could. I had a few moments of wanting to give him away. But then I had a bite of the cake and it was so good, I forgot to be mad. Preheat oven to 325F and grease a 9-inch springform pan well. In a medium saucepan over medium heat, bring butter, erythritol and molasses to a boil. Allow to boil 1 minute. 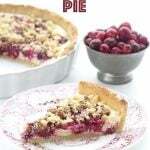 Remove from heat and add cream and vanilla (mixture may bubble vigorously). Pour topping into pan and sprinkle evenly with diced pineapple. For the cake, combine almond flour, protein powder, baking powder and salt in a medium bowl. In a large bowl, beat butter with sweetener until well combined. Beat in eggs, pineapple extract, if using, and stevia extract.Add half of the almond flour mixture and beat until combined, then beat in almond milk. Beat in remaining almond flour mixture, scraping down beaters and sides of bowl as needed. Spread batter over topping in prepared pan, using a knife or an offset spatula to smooth the top.Bake 35 to 45 minutes, or until top is golden brown and just set to the touch. Remove from oven and let cool 10 minutes. Carefully run a sharp knife around the inside of the pan to loosen and then remove pan sides. Top cake with a serving platter and carefully flip both platter and cake. Run a sharp knife between the bottom of the springform pan and the cake topping, to loosen. Gently lift pan bottom. Serves 12. Each serving has 10 g of carbs and 3 g of fiber. Total NET CARBS = 7 g. 318 Calories; 28g Fat (67.6% calories from fat); 9g Protein; 10g Carbohydrate; 3g Dietary Fiber; 76mg Cholesterol; 270mg Sodium. It’s official, I love you. 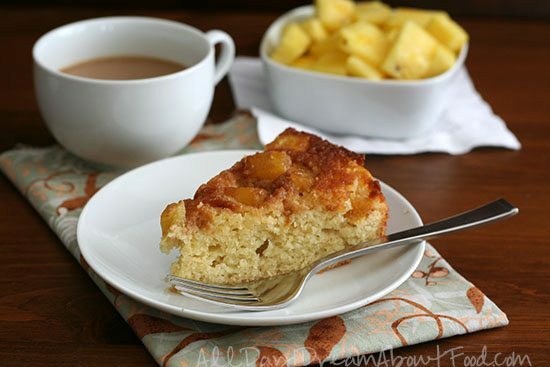 I love everything you make but pineapple upside down cake is my favorite! my mom still makes me one for my birthday every year!!! I am so happy I could cry! Well I hope you like this version too! It’s not as sweet but it’s so good. I agree! My world has improved because of your site! Thank you!! Oh my goodness! My cat has eaten a piece of bread I left on the counter once. I don’t know why he ate it, as it was moldy and gross! Animals are strange sometimes. lol One of my current cats eats olives. BEGS me for them when I have them out. This cake is fantastic! I seriously want this cake right now! I’d do anything for a huge slice of this right now!! Love that it’s gluten free! Have you ever used egg white protein powder instead of whey protein powder to do the same job in a recipe? Yes, for my diary-free hostess cupcakes. It’s a fine substitute. Please let us have a picture of Gryffin! BTW the cake looks gorgeous. I wish I had a slice right now! Love the use of pineapple extract! Good to know. I personally like my pineapple completely unsweetened, as I think it’s great the way it is. But if you prefer the canned variety, that sounds like a great alternative. Ok, it’s official. You’re my hero. This is a MAJOR favorite in my house, and I never thought it could be made low-carb! Carolyn, you’re a godsend. I want to make this for my sister’s birthday this weekend, so I don’t have time to order any pineapple extract online, and I don’t think it is sold anywhere around here. Do you think the cake will be flavorful enough with out it, or could you suggest another extract I could add for additional complementary flavor such as maybe Rum extract? I think it will be plenty flavourful without it! Rum might be nice, but vanilla will be just fine. I was able to make this cake this weekend and it turned out delicious!! I didn’t have any pineapple extract, so I just substituted vanilla extract for it and I think it turned out very flavorful. The cake was super moist and came out of my springform pan perfectly, so the consistency is spot on. When I asked my sister if she was going to share the cake with the rest of her family, she said maybe she would all let them all share a bite from one piece, but that she was going to hoard the rest of it for herself, it was that good!!! 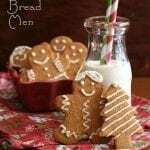 Thanks so much for creating this recipe and sharing it with all of us!!! How would it taste without the stevia extract? You could easily up the other sweeteners in place of the stevia. About 1/2 cup of sugar equivalent to replace the stevia I used. 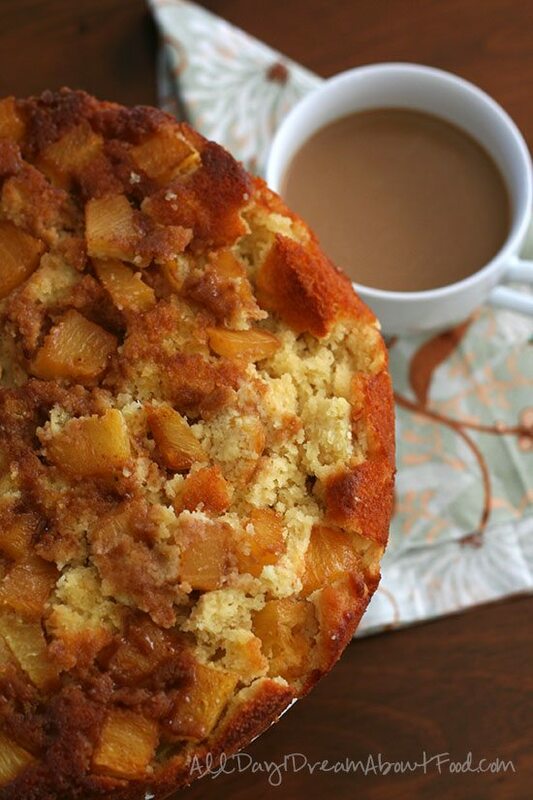 Carolyn, this pineapple upside down cake looks amazing! I’m sharing this on Facebook and Pinterest right away! What kind of almond flour did you use? That’s my starting guess, that you used almond meal (much more coarsely ground). This happened to me also, it was VERY dry, but in reading this string of comments, I realized I had used Coconut flour instead of Almond Flour. I put that aside and tomorrow I will think about how to use it so I don’t waste 3 cups of coconut flour and the rest of the ingredients in it. It worked perfectly with the Almond Flour. It’s still in the oven, so we shall see how it tastes. Oh yikes. Yes, coconut flour would be VERY dry in this application. If I were you, I might crumble it up and make “bread crumbs” out of it or turn it into bread pudding so you can add more eggs and liquid to it. Sure. It will up the carb count some but it should be tasty! One more question! For the topping, do you use granulated or powdered erythritol? I am so excited to make (read: eat) this cake!! So I made the cake and it was a big hit! My family thought it was delicious 🙂 The only thing was, I think using food-processed pineapple instead of almond milk messed with the texture and consistency of the cake. It was incredibly delicate and crumbled super easily. It fell apart when I tried to transfer it from the pan to the wire rack 🙁 But it still tasted delicious! If anyone else wants to sub pineapple for almond milk, I suggest they use juice instead of just running pineapple through a food processor. Interesting! I can see that pineapple puree might mess with it a bit. You could also try a little xanthan gum next time. Maybe 1/2 tsp? 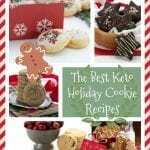 I can not locate the recipe, the link you have provided just sends me to a Betty Crocker site that does not have the recipe. Would you email me the recipe. Thanks in advance. Yup, they took that whole site down now. Can you email me at alldayidreamaboutfood@gmail.com and ask me for it there? I am away from home and I think it’s on my old computer so that would help remind me to get it when I am home again. Would this be an “S” dessert on THM? I have a question and please don’t take offense, but is the total carb count correct for the pineapple upside down cake? Serving size is 12 with total carb count of 10. The reason I ask is because my 7 yr old daughter was diagnosed with Type 1 diabetes Sept 2014. 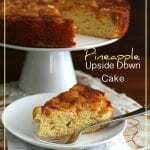 Pineapple Upside Down cake is her FAVORITE cake for Thanksgiving and Christmas and as you know the old fashioned cake is loaded with carbs. I have searched and researched various “recipes” and only to find they weren’t even close to what they stated for the carb count. I am by no means an expert cook/baker, and the carb counting stuff is still new to us, it freaks me out if I cant look on a label and right away know what the counts are per serving. I hope I have finally found the right recipe to satisfy and ease my mind and make my daughters Thanksgiving a little more yummy. I understand why you would be so concerned. This is your child’s health we are talking about – it’s ever so much easier to take risks with your own health, but not that of your child. I have three of them…when I had gestational diabetes with my 3rd, I was so very very careful of anything I ate, because it was her health I was worried about. All of that said, everyone is different and I think you are wise to be so careful and suspicious. You should definitely be doing your own research on things like erythritol and even entering the ingredients in my cake into an independent nutritional calculator. I provide nutritional counts only as a courtesy to my readers, I am not a doctor or medical expert and my information should not be taken as set in stone. And of course, you should always, ALWAYS test your daughter’s blood sugar levels after eating anything, low carb or not. That is the only way you can verify their affect on her. Thank you so very much for your reply. It has set my mind at ease and I will definitely be making this for her. And of course testing glucose afterward. With two months into this whole new world I have alot to learn. Thank you very much for your help and insight. God bless and Happy Holidays. I don’t know, I didn’t try it. But probably! Thanks for all your fabulous recipes. 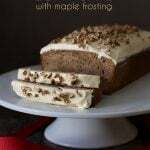 How could I convert this recipe to muffins? The cake part is easy, just make it as is. Not quite sure how long it will bake for, but give it 15 minutes and check on them every few minutes after that. As for the topping, you will get it on the bottom of your cupcakes, but if you flip them out, I suppose that will be delicious! This was delicious!! Mine took a lot longer to bake, I’m not sure why, but I’d think it was done, turn it out onto a plate- nope. Put it back, took it out, but in the end we loved it. I’m going to try it again in the future. I thought about turning the oven temp up a bit from 325*, but i didn’t want to burn the glaze. Hmmm, sounds like your oven runs a bit on the low side? Glad it turned out well, though. I have made this cake twice and loved it both times. I wanted to make it for someone who is not on a low-carb diet, could I substitut sugar for the bulk sweetner, using the same quantity as the bulk and follow the recipe in every other way? Yes, I think that should work. I don’t use sugar at all anymore but it seems to me it wouldn’t change much about the recipe. Could I use unflavored whey protein? Maybe add some vanilla extract? Thanks! What about the THM baking blend for this cake? How much would you put vs. the almond flour? Thanks. Well, I just made a cake with the baking blend which I will be sharing soon, so use 2 1/2 cups THM blend and then 1 to 1 1/2 cups almond milk (use your judgement depending on how dry or not the batter is). You probably want another egg as well. Hi Carolyn, absolutely LOVE your blog, it’s made such a world of difference for me and I cannot thank you enough! I’m type 2 also and years ago I tried baking with Almond flour and everything i made was horrible. 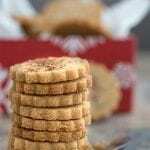 Completely ignorant of blanched Almond flour VS Almond meal and how to use it, nothing turned out. But now the wonderful world of food bloggers like you have changed all that. I’m off my Metformin and using diet and exercise, which is working well, but having to avoid sugar, which as you know is in everything, made life pretty miserable. So again, thank you so much! I was also wondering if this could be made in a cast iron skillet? Pineapple upside down cake is one of the things my mother in law made all the time. It was loaded with brown sugar etc but it was one of my husband’s favorites, it has good childhood memories for him. And for some reason, for him, it needs to be done in a skillet, lol. Since they heat up much more than a regular pan I’m not sure how to adjust either the heat or time. Any tips you might suggest would be great. I even thought mini skillets since this looks delicate and could be difficult to remove without creating a disaster. Have a wonderful day. BTW I also live in the PNW, Bellevue, Wa, came up from CA 1 1/2 yrs. ago and love it. I can’t see why it couldn’t be baked in a skillet. I might add a little xanthan gum to make sure it holds together a little better (add 1/2 tsp to the dry ingredients), and grease that skillet well. Then make sure to loosen it well after baking before attempting to get it to flip out. I just love your recipes! 🙂 I made your jalapeno cheddar crackers the other day (only I made them rosemary cheddar, lol) and was in heaven! In this recipe, can I use pea protein powder? Or is it the “whey” that helps with the rise? I made this today for my father’s birthday. It really brightened his world to have something he really wanted and still have it be low carb. This is not the first recipe I have tried from your site and will not be the last, so thank you for what you do. And thank you for giving my father a very happy birthday! What would the modifications be for nut allergies? Thanks! Not really sure there is one for this. 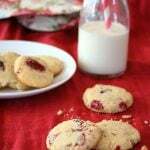 You can try sunflower seed flour. I do not have whey protein of any flavor, how necessary is this? I was going to make for a co-worker tonight for her birthday tomorrow. Thanks! 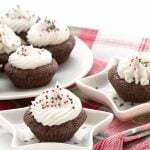 Whey protein (or any protein powder) helps baked good rise and hold their shape. You can make it without but it won’t have as good texture. I just made this as a special request for my daughters birthday. Pineapple Upside Down cake is her favorite. I don’t know what happened but I baked it for 55 minutes instead of the 35-45 minutes notes in the recipe. I baked until the top was “just set to the touch”. I let it sit for 10 minutes as well, but when I flipped it and removed the spring form pan, the cake fell apart because it was still raw in the middle. I am so disappointed. I can’t put it back in the pan and bake it longer, so I guess it will have to be thrown out. I was so looking forward to this treat. I am sorry to hear it. Something obviously went wrong so I have to ask a few questions. What sweetener did you use? What brand of almond flour? If it took that long to cook through, I suspect you used some ingredient different than mine.